Moore & Lee is listed in the Chambers Guide to the World’s Leading Lawyers, USA and the LexisNexis Martindale-Hubbell® 2009 Bar Register of Preeminent Lawyers. 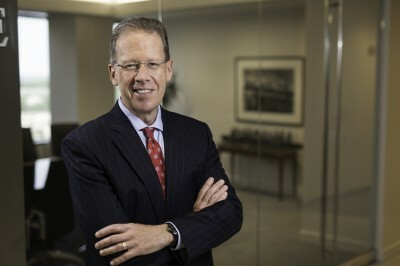 Richard O. Wolf is a partner at Moore & Lee, LLP with experience in all facets of civil, administrative and “white collar” criminal litigation, with particular emphasis on the litigation of construction, government contracts and complex commercial disputes. Mr. Wolf has extensive trial and appellate experience before numerous federal courts, state courts, governmental agencies, boards of contract appeals, arbitration panels and mediators. He has represented contractors, subcontractors and owners in a broad range of matters, including delay and inefficiency cases, bid protests and wrongful termination cases. Also, Mr. Wolf has negotiated a wide variety of domestic and international commercial agreements and counseled owners and senior management on employment matters and regulatory compliance issues. In addition, Mr. Wolf regularly represents and counsels clients in a broad range of civil and commercial disputes, including actions alleging defamation, wrongful termination and violation of federal and state “whistleblower” statutes. He has lectured on civil litigation practice and ethics at various continuing legal education seminars. Prior to joining Moore & Lee, LLP, Mr. Wolf was with the litigation section of Morgan, Lewis & Bockius. Mr. Wolf is a member of the Maryland, District of Columbia, and Virginia Bar Associations. Bell BCI Co. v. U.S., 81 Fed.Cl. 617 (2008). P&J Arcomet, LLC v. Perini Corp., 2007 WL 3470241 (E.D.Va 2007). Bell BCI Co. v. HRGM Corp., 2004 WL 3222885 (D.Md. 2004). Power Services, Inc. v. MCI Constructors, Inc., 36 Fed. Appx. 123, 2002 WL 1211088, (4th Cir. 2002). Mr. Wolf was born in Niagara Falls, New York.